In fashion, what goes around comes around; and to an extent we’re okay with that as a society. In such a saturated market, it is almost impossible for designers to come up with wholly original ideas free from the influence of past collections . Take, for instance, Miu Miu’s 2018 Spring/Summer collection, full of self-referential motifs that only someone like Miuccia Prada could pull off. Thanks to the easily accessible internet and Vogue’s endless online archive of runway shows, these references can be spotted by even the most novice fashion fan. Unfortunately for unoriginal designers, the Internet also does not forget—its archives remain preserved forever while old print copies of Vogue gather dust in libraries. Such is the concept behind Diet Prada, a ruthless and respected Instagram fashion critic account. Diet Prada—run by Tony Liu and Lindsey Schuyler—has democratized the discipline of fashion critique, raising questions about responsibility and originality in the age of the Internet. On one hand, Liu and Schuyler are fashion aficionados, having both studied and worked in fashion for years. They have a strong, well-informed grasp of the industry, and their respectable posts have garnered attention from brands such as Prada and Gucci. On the other hand, they have found themselves in the middle of controversy with people like Stefano Gabbana, who called out the account for “ignorance,” replying, “You need to take fashion lesson in some school before to speak,” in reference the account’s call-out of a Dolce and Gabbana copy of a Gucci display. Gabbana raises an important point: in an age where anyone can post anything on the Internet, critics such as Diet Prada have a responsibility not to spread misinformation. 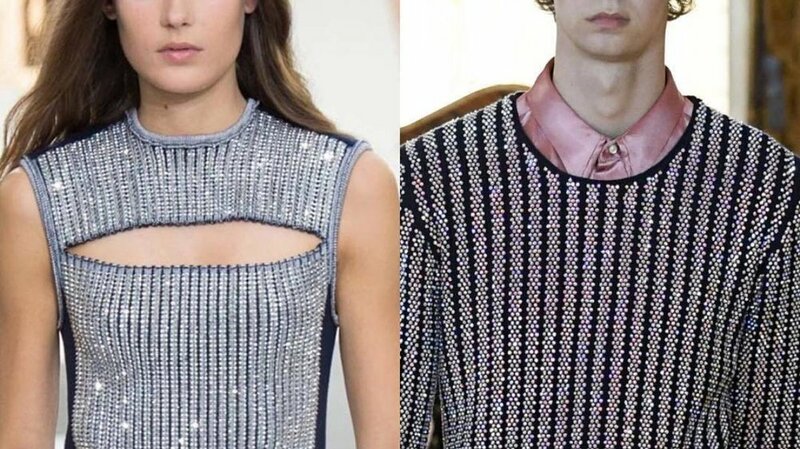 The nature of Diet Prada’s posts help to delegitimize this claim, typically posting side by side photos of the original design and the designer “knock off,” allowing followers to judge the nature of the knock off for themselves. Diet Prada also recognizes the cyclical nature of the fashion industry, and focuses on calling out brands whose copies appear only a season or so after the origina—clearly showing the copying of ideas rather than a design which takes inspiration from and reinvents older designs. The real problem that the industry has with Diet Prada and similar accounts is that it is run by “outsiders” rather than industry professionals. This is the age of the Internet, though, and the democratization of critique is becoming more and more widespread. The benefit to this—and, in my opinion, the real reason behind Diet Prada—is that when designers know they’re being checked by the public, they are forced to make better and more original designs. The democratization of the industry lets the public demand more from designers and, hopefully, with the help of Diet Prada, perhaps they will listen.